Pack of 50 Empty Car Requests for enhanced operation. 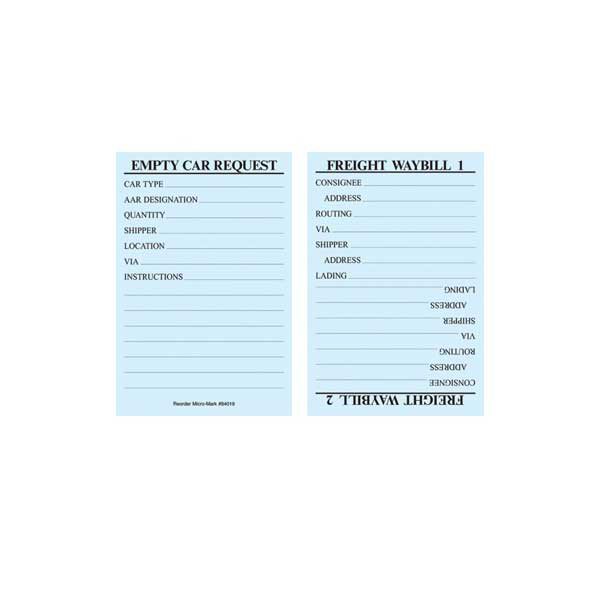 2-cycle Waybill on back. Light blue color. 2 inches wide x 3 inches high. Designed for use with #82916 Car Routing System.